There's a new player in the indie world : Il Etait Un Vernis. 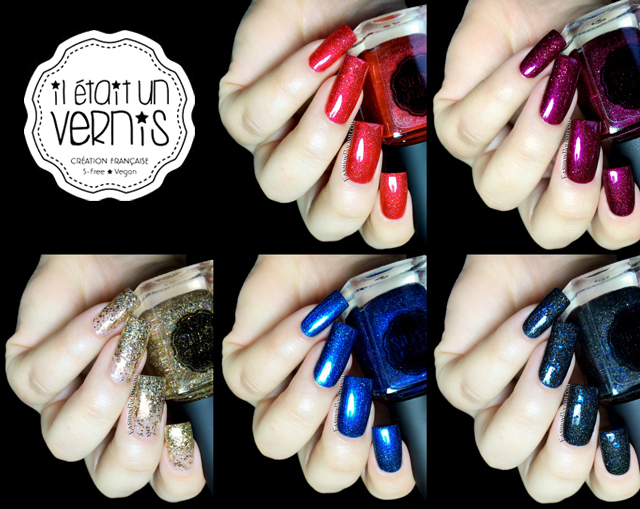 The Il Etait Un Vernis introductory collection, Once Upon A Time, consists of 4 holographics and a glitter bomb. Let's give them a closer look. 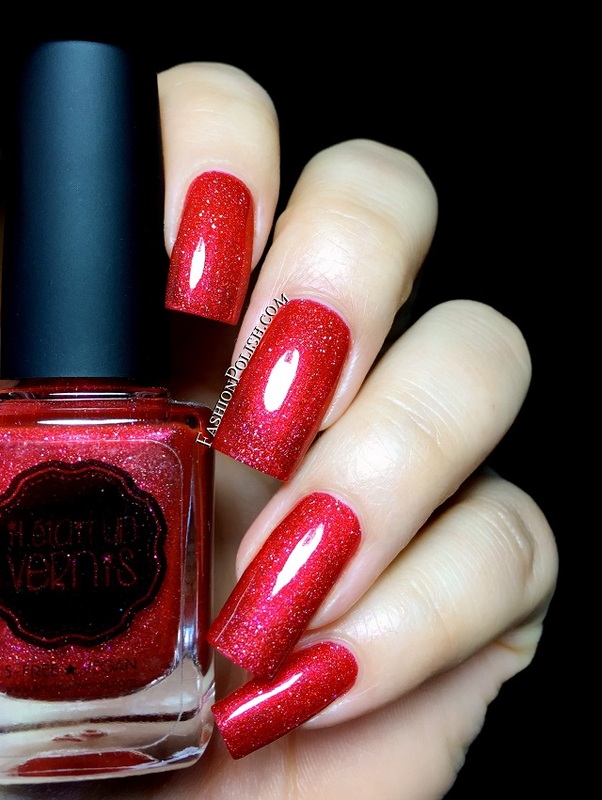 No Comment is an orange based red shimmer with flat, scattered, holographic particles. A lot of shine and glow, almost a glass-like finish, enhanced by a very slight VNL (Visible Nail Line) at 2 coats that I surprisingly loved. Shown below : 2 coats plus topcoat. 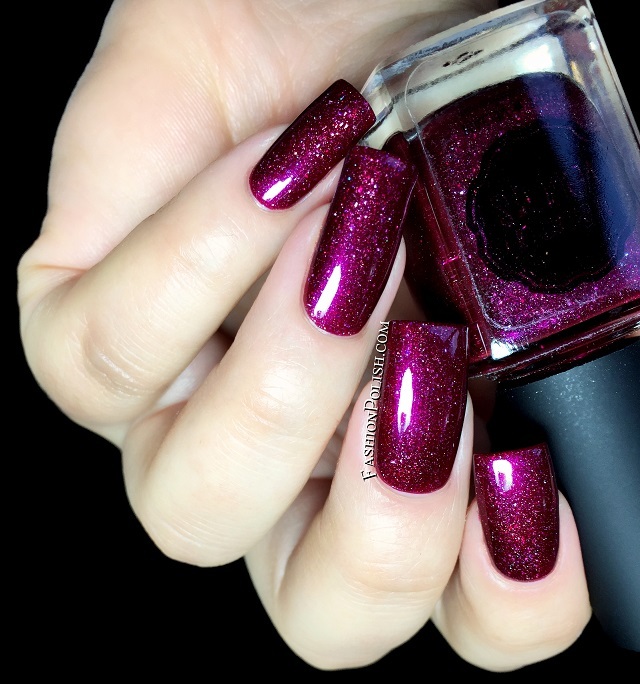 Beyond Words is a heavy plum shimmer with flat, scattered, holo pieces. 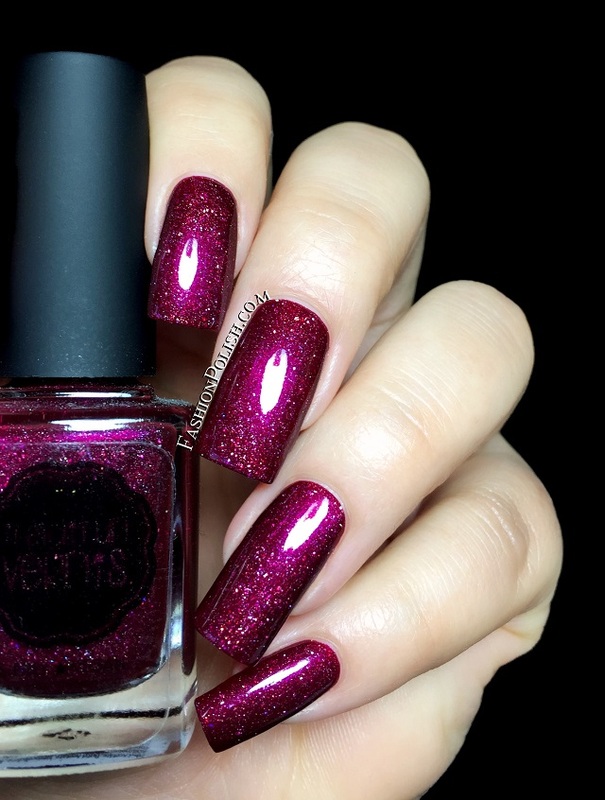 A perfect color for Fall, deep and lustrous but not quite vampy. I also used 2 coats plus topcoat in my swatches. 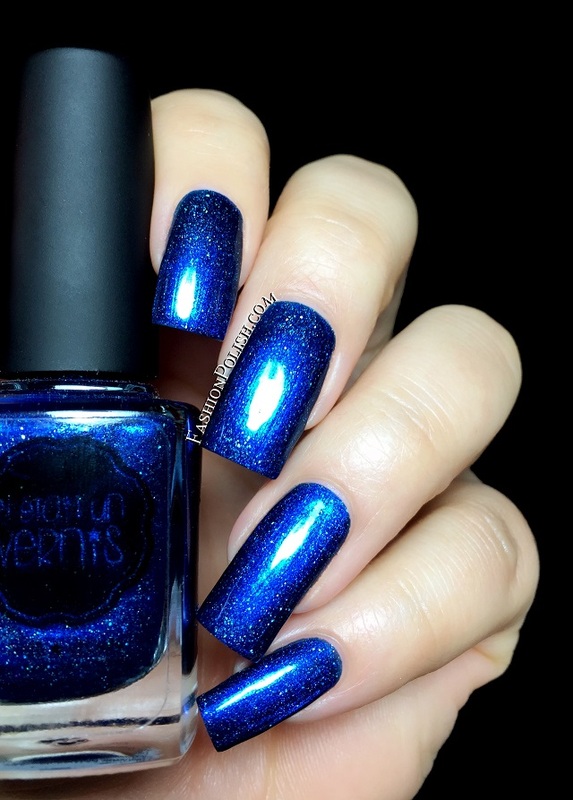 Crush on Blue is a vivid sapphire blue metallic shimmer with flat, scattered, holo particles. It literally glows, I can't think of anything else like it. Again, nice and easy formula and 2 coats for full coverage. 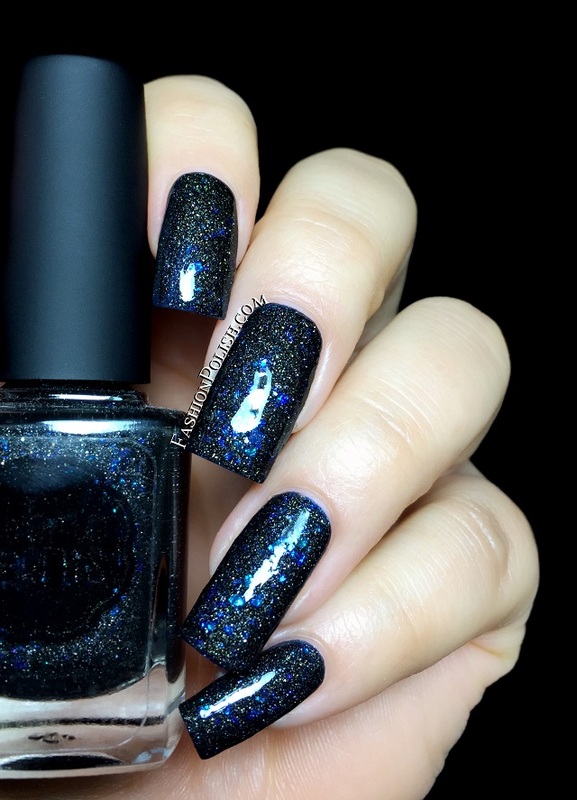 Light Box is a black jelly filled with scattered holo particles as well as different sizes of blue hex glitters. 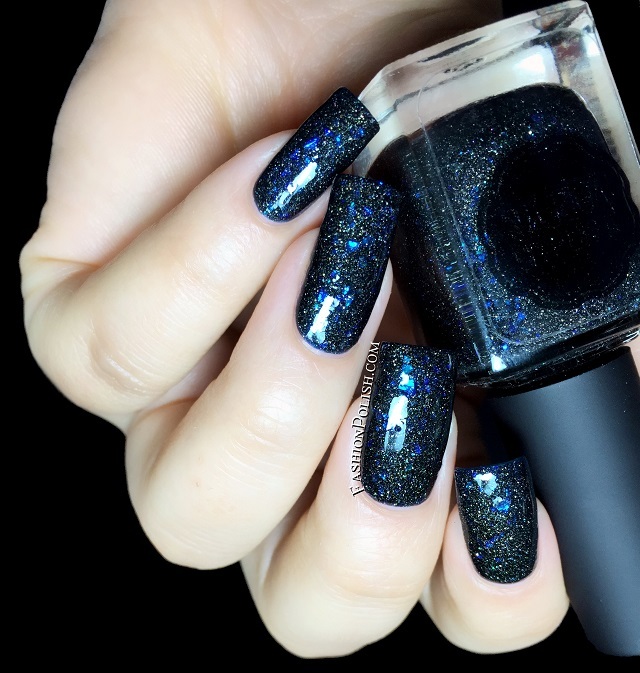 Such a nice take on your usual black holo, definitely unique. Shown below : 3 thin coats plus topcoat as well. 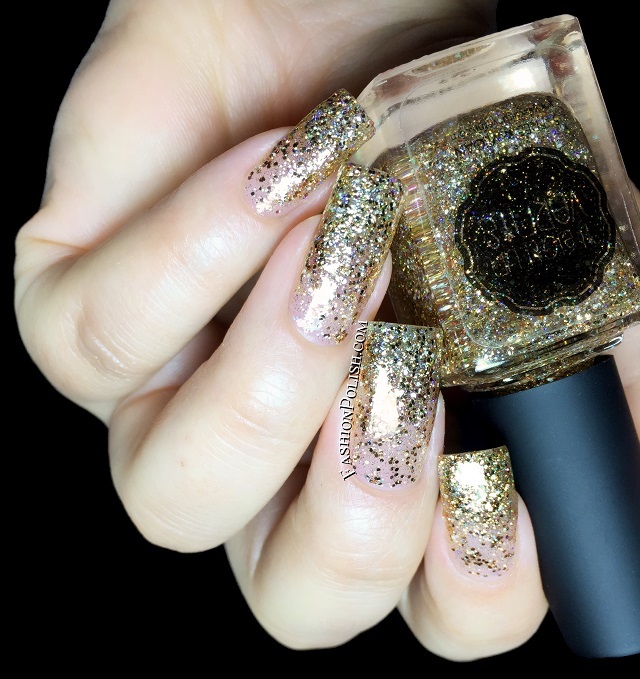 Live, Love, Laugh is a mix of different sizes of silver, copper and gold holographic glitters in a clear base. So much sparkle! 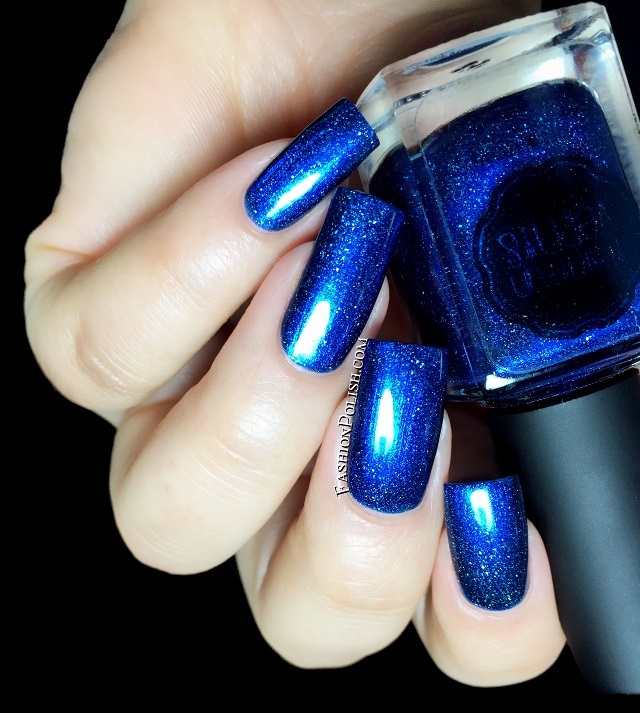 Buildable to full opacity in 2 to 3 coats, I decided to do gradient tips in my pictures. The Il Etait Un Vernis Once Upon A Time collection is available on iletaitunvernis.bigcartel.com and retails for 12.90€ (each) or $59.90 (set), international shipping available.